You can use the built-in Veeam Explorer abilities to connect to another Veeam Backup for Microsoft Office 365 server and add its databases to the Veeam Explorer for Microsoft SharePoint scope. 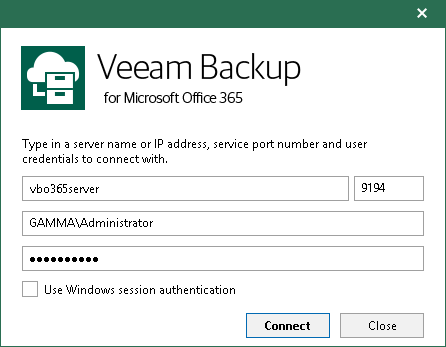 Click Add Database > Veeam Backup for Microsoft Office 365 Server on the ribbon menu or use the corresponding context menu command. Specify connection settings under which to connect to the Veeam Backup for Microsoft Office 365 server and click Connect.